People make a lot of common mistakes with the kettlebell swing. 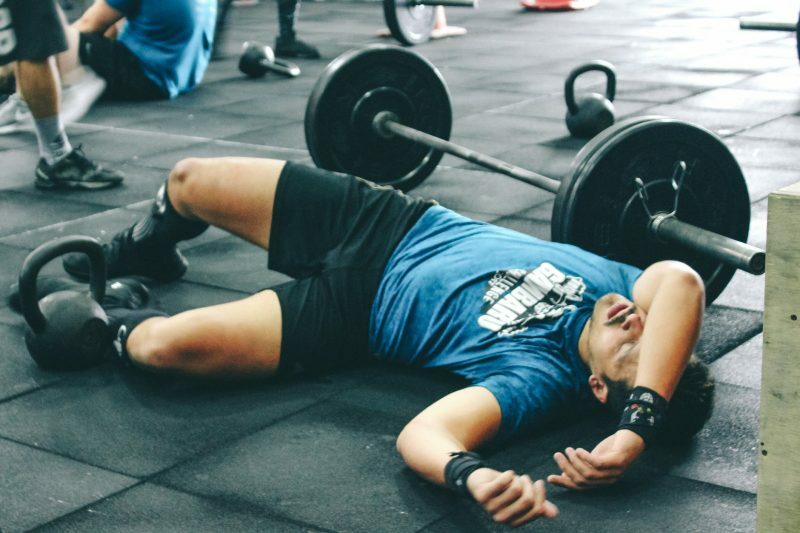 It never fails that every time I walk into a gym, I immediately have to put on my blindfolds so I do not see the train wreck of novice lifters trying to swing a kettlebell. Most of the time, there is a trainer standing in front of them letting this horror show continue on. It is usually not the lifter’s fault but rather the trainer’s because they do not know how to properly swing a kettlebell or coach it. Here is my public service announcement: If you are a trainer, do not have your clients do movements that you do not know how to perform correctly. Take the time to properly be trained by someone who is qualified in the skill you wish to learn and use for your clients. 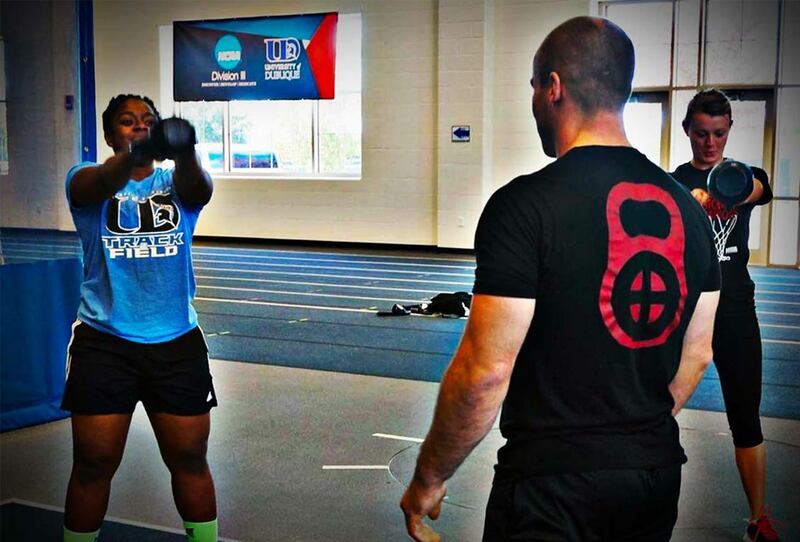 On that note, here are the top four most common kettlebell swing mistakes and how to fix them. Many people do not understand the correct mechanics involved with the swing and this leads to confusion. The swing is a HINGE MOVEMENT. It is not a squat or pull. People either do not know the difference between a hinge and a squat or they simply do not know how to hinge. Squatting instead of hinging takes the focus of what we are trying to work on out of the picture. Focus should remain on the hips. Squatting will also create some other bad mechanics in the swing as well such as no connection of arm on body. Practice doing the hinge motion against a wall and then progress to performing straight leg deadlifts with weight. Learning and practicing proper hinge mechanics is an essential component to functional kettlebell swings. Once again, I must reiterate the swing is a HINGE MOVEMENT. People seem to forget this and will not engage their glutes at all, pushing their hips forward and pulling with their arms. At the same time, their heels are coming off the ground and they are left wondering why their back hurts. You should feel your glutes and hamstrings working in the swing. Practice doing floor bridges and tension planks. When you properly engage your glutes, it drives your heels into the floor keeping you grounded so that your hips do not continue on into hyperextension. At the top of the swing, you should be completely vertical just like in the plank. People will try to use their arm to pull the kettlebell or overextend their reach instead of letting the hips and gravity do it’s thing. Remember, the swing is a HINGE MOVEMENT. The arm should make connection with your body first before going into your back swing. This is a skill that needs to be taught and learned. 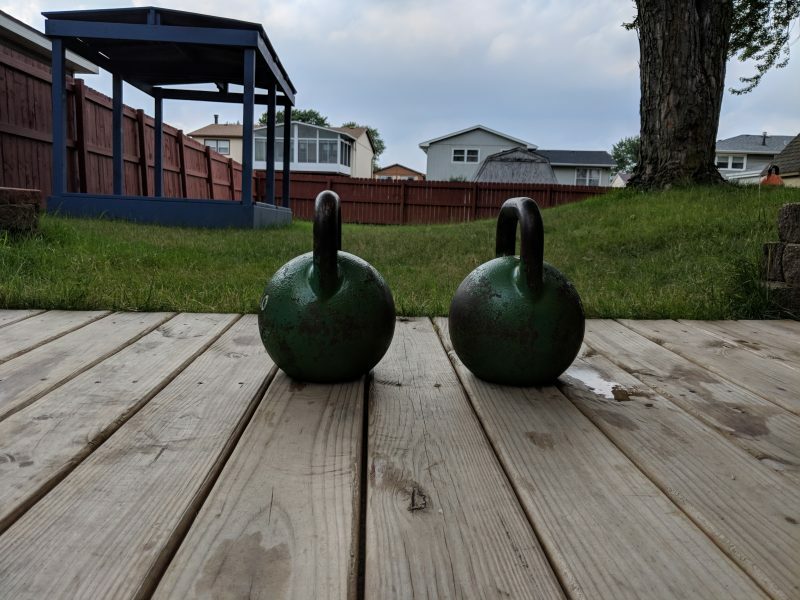 Lifter’s have a natural tendency to fall forward with weight instead of allowing for the kettlebell to fall on it’s own. On the way back up, people will pull the kettlebell with the arm instead of letting the hips do the work. Practice swinging a kettlebell with a cone between your legs. Do this with either partner assisted swings or banded swings. While performing the swings, there should not be any space between your arm and body while going into the back swing. Doing so will result in the kettlebell controlling you instead of you controlling it. Additionally, you could potentially injure your lower back by putting a lot of unnecessary strain on it. When first learning the technique of a movement, there is a time to go light. However, you will never really get a feel for the movement until you swing a kettlebell that has some actual weight to it. When using light kettlebells, people have a tendency to just pull the kettlebell with their arms instead of letting the hips do the work. Once again, the swing is a HINGE MOVEMENT. Additionally, the swing is meant to build strength and power in the hips which cannot be done with extremely light weights. 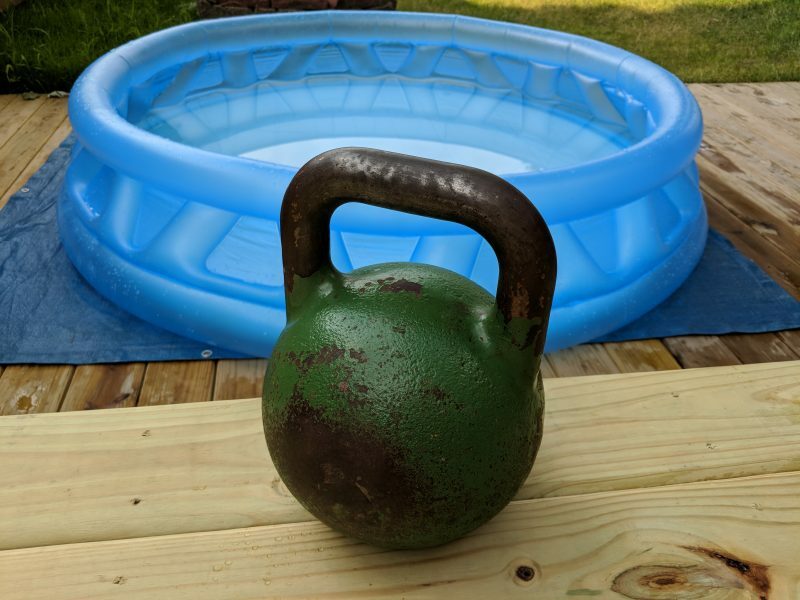 If you can carry on a conversation while swinging a kettlebell, then are you not lifting heavy enough kettlebells and you are not performing the movement correctly. Use heavier kettlebells and perform the movement correctly. Remember, the arm is just an extension of your body holding on to the kettlebell it does nothing else.